This recipe came about this past weekend as I was cleaning out my freezer and week planning. I had some frozen homemade pesto and some great naan bread waiting in the freezer just waiting for me to marry them together in a delicious pizza. 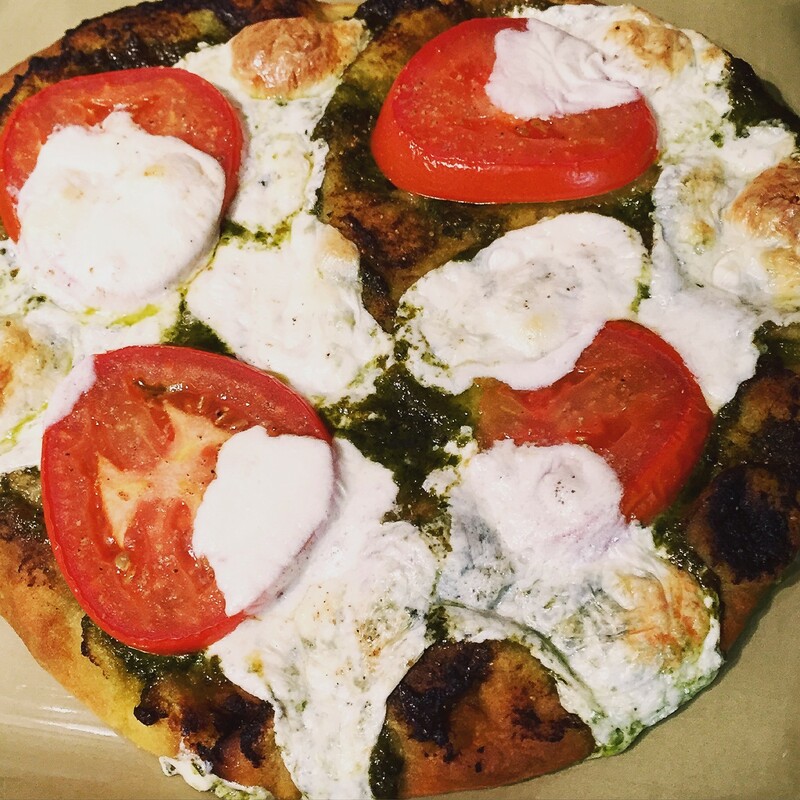 Split the Pesto up in half and spread on each piece of Naan bread. Split the Tomato up in half and place on each piece of Naan bread. Add the mozzarella wherever makes you happy on the Naan bread. I placed my pizza on a cookie sheet, but for crispier crust place directly on the middle rack of oven. Bake for 14-18 minutes or until pizza is cooked to your desired doneness.